An experienced attorney can help you fight back when you have been charged with a drug offense in Arkansas. The attorneys at the Rees Law Firm have defended countless people against charges on all classifications of drugs and have experience in both misdemeanor and felony drug cases. Arkansas takes a hard stance on drug cases, so you need to be sure to hire a qualified attorney to defend you. The Rees Law Firm offers free case consultations and will help you understand the ramifications of the charges against you. 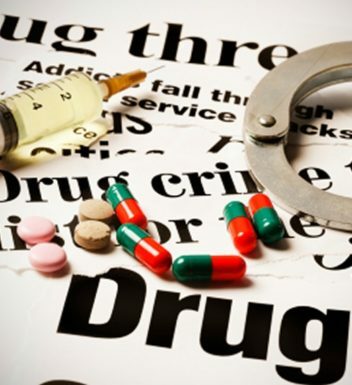 Contact our Jonesboro office today at (870) 931-2100 to discuss your case with a skilled drug offense attorney. Possession – Possession can quickly become a felony, depending on the drug discovered and the amount of the drug found. For instance, a small amount of marijuana will likely be a misdemeanor charge, while possession of a large amount of marijuana will be a felony charge. Paraphernalia –Even if not found in conjunction with drugs, drug paraphernalia is illegal to possess in Arkansas. If you have paraphernalia associated with certain lower-level drugs, you might be charged with a misdemeanor. However, possession of cocaine or methamphetamine paraphernalia is a felony. In addition, possession of paraphernalia that is used to manufacture or distribute drugs is a felony in Arkansas. Manufacture – Manufacture of any drug is illegal in Arkansas and is considered a felony. The level of felony will depend on the drug involved and the circumstances involved. Distribution – Distribution or sale of any illegal drug is a felony in Arkansas. This is true even for people who provide paraphernalia or equipment to someone else who intends to sell or distribute. The level of felony will depend on the drug involved and the circumstances involved. Trafficking – Trafficking charges can involve any incidents of manufacturing, selling, distributing, or purchasing (in large amounts) drugs, or can involve a combination of these crimes. Trafficking charges are serious felonies. We understand any type of drug charge is going to cause you stress and worry. We will work tirelessly to make the procedure as smooth for you as possible and to ensure you receive the best result possible. Contact our office today to discuss your case and schedule a consultation with one of our skilled Arkansas attorneys. Schedule I – Schedule I drugs include opiates and hallucinogenic substances. These have the highest probability of abuse and can cause severe side effects. Schedule II – Schedule II drugs include codeine and hydrocodone. These have a high probability of abuse but do have some accepted medical uses. However, if abused, these drugs can lead to serious dependence and complications. Schedule III – Schedule III drugs include ketamine and anabolic steroids. They do not have as high a probability of abuse as other drugs and have some accepted medical uses. Schedule IV – Schedule IV drugs include lorazepam and barbital. They have a lower probability of abuse and have accepted medical uses. Schedule V – Schedule V drugs include pseudoephedrine and have a lower probability of abuse. They are considered the least dangerous types of drugs. They do have accepted medical uses and low levels of dependence. Schedule VI – Schedule VI drugs include all drugs that do not fit into any of the other five Schedules. Marijuana is a schedule VI drug. These drugs are classified as having high probability of abuse without accepted medical uses. Most drug possession charges will be classified as felonies. Possession of a small amount of a Schedule VI drug can be charged as a misdemeanor. However, small amounts of any other drug (without a valid prescription) will almost always be charged as felonies. The penalty attached to a felony drug charge will depend on the “Class” of felony. This is party dependent on the drug involved and partly dependent on the activity with which you are charged. There are five classes of felonies in the state — Y, A, B, C, and D — and each carries different potential punishments. Felony drug charges are serious and carry large potential consequences. You need to be sure you hire a skilled lawyer to help you fight these charges and achieve a favorable result in your case. Contact the Rees Law Firm today to receive an attorney consultation regarding your drug case. Attorney Mark Rees has the knowledge and trial experience you need during an Arkansas drug case. Contact the Rees Law Firm today at (870) 931-2100 to schedule your free case consultation and start building your winning defense.